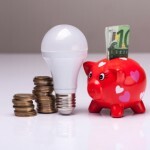 The latest collective buying initiative for utilities has been launched this month by Spanish Consumer Organisation OCU. The aim is to achieve lower electricity and gas prices for any consumer that signs up, along with a clear contract with no abusive clauses. How Can I Reduce My Utilities Bills? 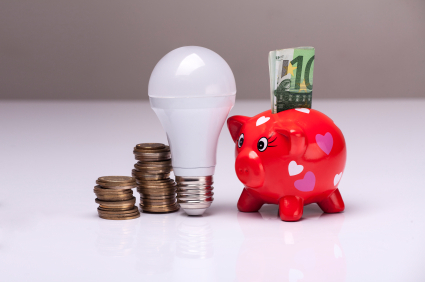 After previous years’ successes when over 50,000 homes managed to save money by changing utility provider, OCU will be asking companies once again to bid on electricity, gas and a combined electric & gas tariff. Currently providers offer similar tariffs. There is little transparency due to confusing tariffs, lots of small print, discounts that really don’t add up to much and add-on services that aren’t worth having. OCU aims to disrupt the market by taking part in utilities auctions. In order for it to work, they need to have as many participants as possible. As a utilities consumer in Spain you can take part in this initiative, but don’t worry there’s no obligation to change contract if you’re not convinced by the final results. Sign-up on the OCU website set up for this (you don’t need to be a member of the Organisation) before 23 Oct 2017. Just include your name, email and phone number. Taking part is free during the whole process. The OCU will study all offers made by the utilities companies and won’t accept any that have abusive clauses. They will propose the company that offers the highest saving for consumers. Consumers will have a few weeks to decide whether to change their current contract or not. If the OCU proposes the same energy provider that you already use, you’ll be able to sign up to the new more favourable contract. Remember, utilities companies are not forced to make any offers to OCU. The Organisation will advise you on your best options if no offers are made. If you let them know about your current consumption and tariff (optional) you’ll get a personalised study back by email. If you change utility provider you’ll have to remember to cancel any maintenance contract with your current provider. Maintenance contracts are billed together with consumption, although they are two different contracts. Ensure no more direct debits are paid for maintenance (or any other contract add on) by checking your bank account.